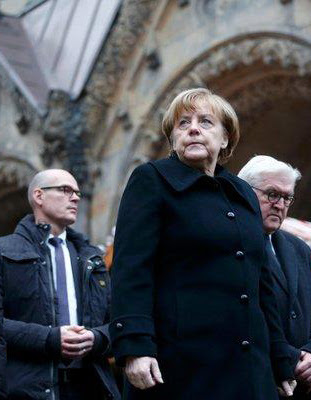 “Okay, okay, ich gehe jetzt, um Frau Merkel vom Reichstag abzuholen“ I say, speaking into the sleeve of my jacket. I'd better get my skates on, can't keep an important lady waiting. Fire up the whisper-quiet 5.0L diesel and wind through the streets of Berlin, along with a dozen other black Audi sedans. There! In one sentence I’ve zeroed in on the frontline customers for Audi’s A8 sedan. This is a car built to demonstrate Audi’s unquestioned ability to deliver exactly the right automotive formula for ferrying around German Chancellor Angel Merkel, and her buddies in the Bundestag. It’s a statement of national pride, and I’m not sure Audi had much say in the matter – “We need sumptuous luxury, performance and comfort for our politicians and VIPs.” End of story. Purchase order signed! Sure this is Audi’s pinnacle sedan, helped along by the heft of a 5.0L, turbocharged V6 diesel, pushing out 210kW, and a monstrous 600 Nm of torque, from just 1250rpm, via an 8-speed paddle shifter. It sprints to 100km/h under 6 seconds. Not bad for a 2200kg lump of steel and alloy (about 4700lbs). Which could be very handy if the chauffeur has been instructed to outrun a pursuing carload of crazed terrorists. 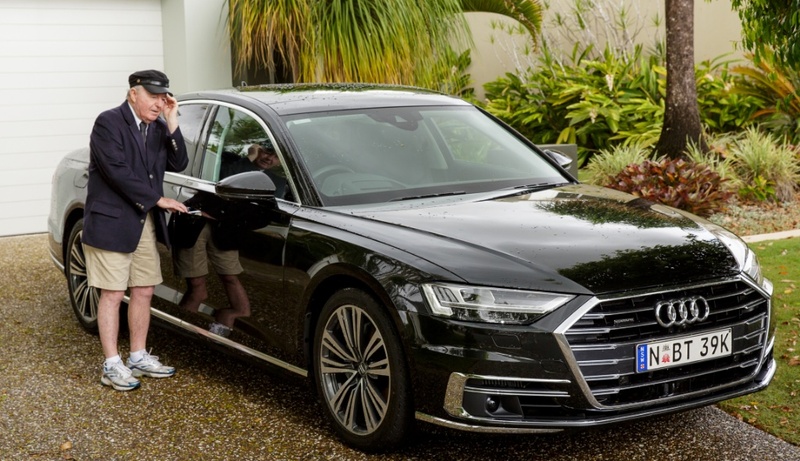 You will undoubtedly see fleets of black Audi A8s constantly in German news clips, with pollies and VIPs easing themselves as gracefully as possible from the (tight) back seat. But apart from diplomats, and members of Germany’s federal government, for the life of me I can’t see who else would buy this publicly-purchased Uber. Driving the A8 however, is a sublime pleasure, and so it should be, in its role as a Chancellor’s chariot. It steers well, rides beautifully, has all the power you might need, and is s-m-o-o-t-h. Very understated, well finished and of course, has ALL the techno bells and whistles. But, on behalf of Germany’s Foreign Ministry Purchasing Managers, and any other deluded consumers about to sign on the dotted line, I think it’s worth starting with a bit of old-fashioned horse-trading. The A8's thirsty and, very expensive for what it is. 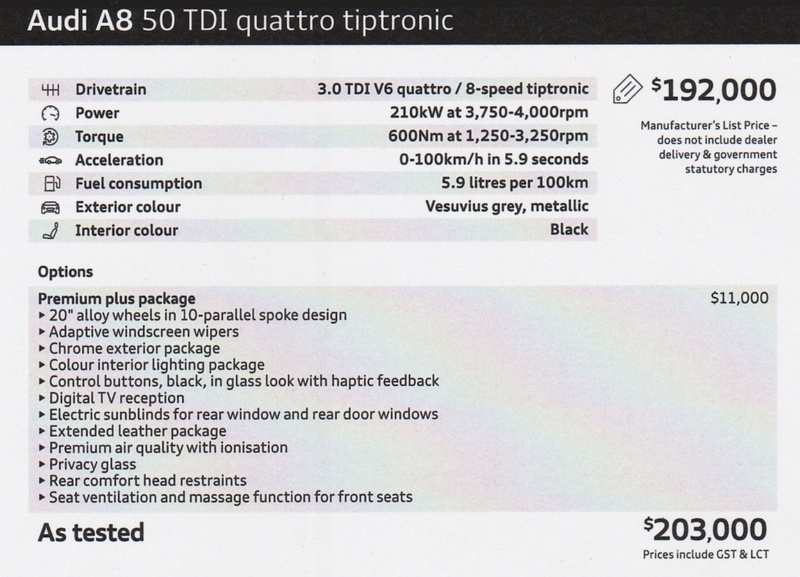 Here’s the Australian pricing sheet, and yes, you are entitled to a minor heart tremor at the bottom line. I also think it’s very cheeky to offer all the stuff in the Premium-Plus package for an optional AUD$11,000. When you read through the inclusions in the Premium-Plus package, I reckon every item ought to be standard equipment included in the base price. Remember, this is supposed to be a diplomat’s delight, and yet again Audi finds a way to screw the customer! 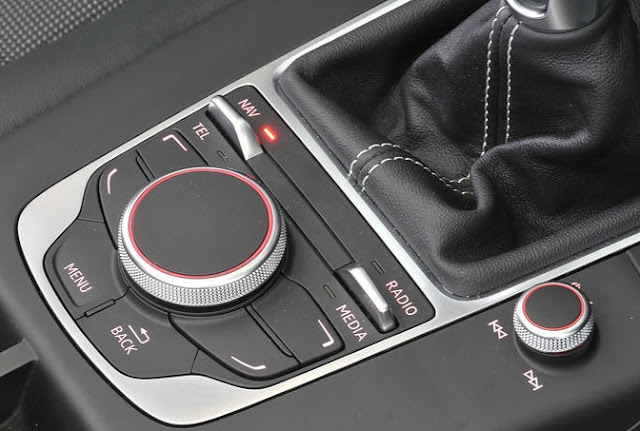 The other issue which I am sure will completely alarm Audi aficionados is the disappearance of Audi’s famed MMI system controlled by a circular knob in the central console. 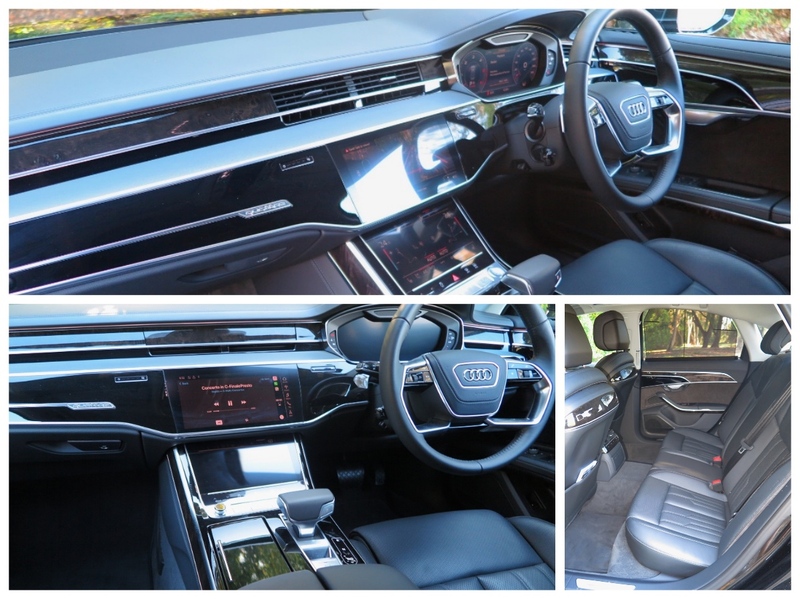 After all, when BMW launched its totally impossible-to-understand-and-use i-Drive, Audi floored everyone with a system that was intuitive, easy to use and very impressive. It made all choices easy, and the execution was simple as. Now, just to show off how clever their techno boffins are, it’s all been moved to two touchscreens in the centre of the dash, and quite frankly, is a massive disappointment, and a major fail. It is certainly NOT intuitive; it IS distracting; it IS complicated, and finally - bloody frustrating. 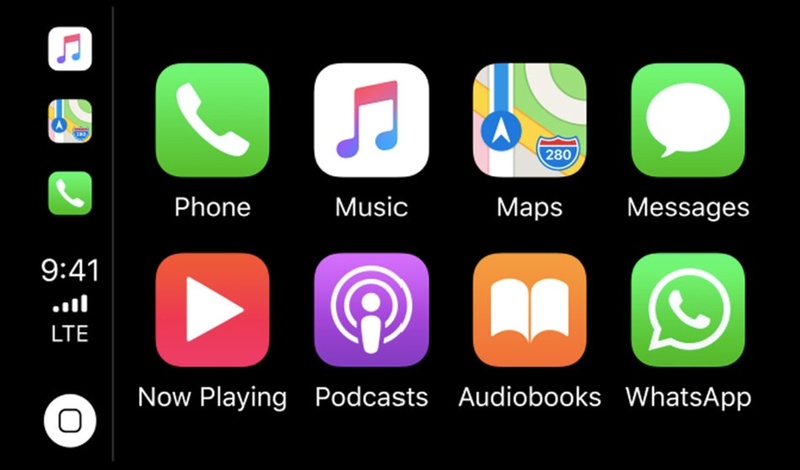 I simply reverted to using Apple CarPlay - a much simpler, and more effective solution! The Audi PR machine will probably now issue a fatwa on me, for being so stupid as to not be able to instantly figure out its new-age technology, and for insulting its cyber-superiority. Sorry, but it has to be said – the new system is definitely a backward step. 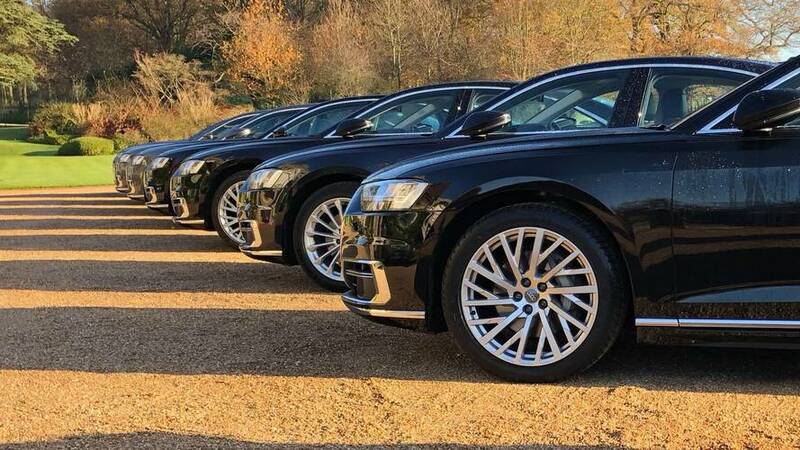 After a day or so at the wheel of most older, MMI-equipped Audis, drivers could just about drop their fingers exactly where they wanted, fiddle about, without taking their eyes off the road, and get things done – ‘tout suite’. Sorry for the French phrase, but the German translation, 'jetzt sofort', sounds like an ad for jet-powered breakfast cereal! So, is the A8 worth the money? Yes, and, No! It’s a sumptuous cruiser, solid as a rock and beautifully built, but there are literally dozens of competitors out there, both cheaper and also more expensive, which would result in lots of A8s sitting on dealers’ showroom floors. For example, on a purely practical level, the new Mazda 6; the KIA Stinger and Holden’s new Commodore do all the same things probably just as well, and for much less money. The A8 exists purely because Audi needs a topline sedan, and I don’t think Audi cares very much who (if anyone), other than German government purchasing managers, buys it. 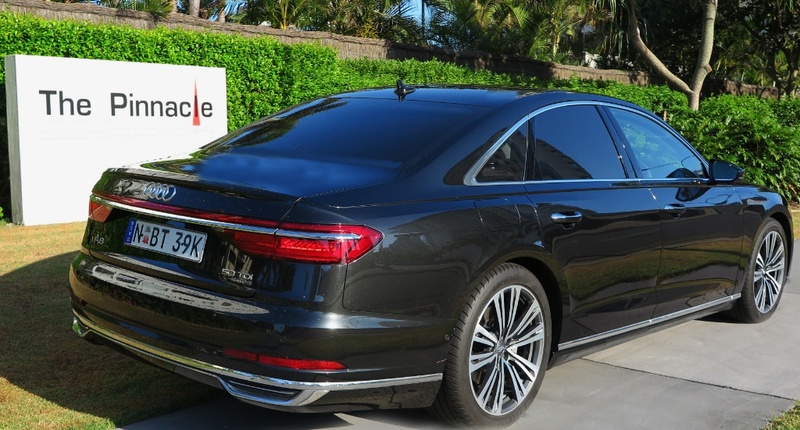 NOTE: The V6-powered A8 is NOT Angela Merkel's daily driver. One of her cars is weighed down with armour plating, and bullet-proof windows and is powered by Audi's superb V10 - also used by Automobili Lamborghini.